Last year when Nvidia released the GeForce GTX 650 Ti it has turned out to be a decent budget card for 720p stereo 3D gaming that could also perform well in 1080p 2D mode, though with some compromises in details and no AA filtering for the higher resolution. Recently Nvidia has released an updated version of the GTX 650 Ti, the GeForce GTX 650 Ti Boost, a new GPU that promises a bit better performance and some extra features. If you remember the GTX 650 Ti did not support Boost Clock and SLI and the new GTX 650 Ti Boost model adds support for these and though the number of CUDA cores remains the same, there are a few extra ROPs, and the GPU is running with a bit higher frequency along with a wider memory bus and faster memory. * The numbers in red and green represent the upgrade or downgrade of the specific parameter in the GTX 650 Ti Boost as compared to the GTX 650 Ti! The stereo 3D benchmark results above were achieved on a mid-range computer – Biostar A960A3+ motherboard, AMD FX 4130 quad core processor, 4GB RAM and Windows 7 64-bit, together with a reference GTX 650 Ti Boost graphics card all of which were not overclocked. Testing on a few of the more recent and popular games in both stereoscopic 3D mode at 1280×720 resolution with high details and at 1080p resolution in non stereoscopic mode has shown very promising results, but you should forget about being able to play in 1920×1080 resolution in stereo 3 mode with this video card. I still recommend as a minimum for 1080p S3D gaming a GTX 660 Ti video card in order for you to have a good framerate and get a good overall experience when gaming with 3D Vision. Thanks to the SLI support that the GTX 650 Ti Boost however the option to use two of these cards in SLI might also be an interesting alternative to using a single GTX 660 Ti. Also enabling AA filtering at 720p resolution isn’t as taxing as on 1080p resolution in terms of performance drop, so you can get better quality without significant fps drop in order to compensate for the lower resolution. As you can see you are also not going to have trouble playing most games in 1080p resolution in non-stereoscopic mode with high detail levels, though in some more demanding games you might have to sacrifice a bit to get more comfortable framerate. So if you are looking for a GPU in the price range of the GTX 650 Ti, then you should go instead for the replacement GTX 650 Ti Boost mode. It has enough performance for stereo 3D gaming at 720p resolution on a 3D HDTV for example and it also works quite well in 1080p 2D resolution for most games with the High detail levels. 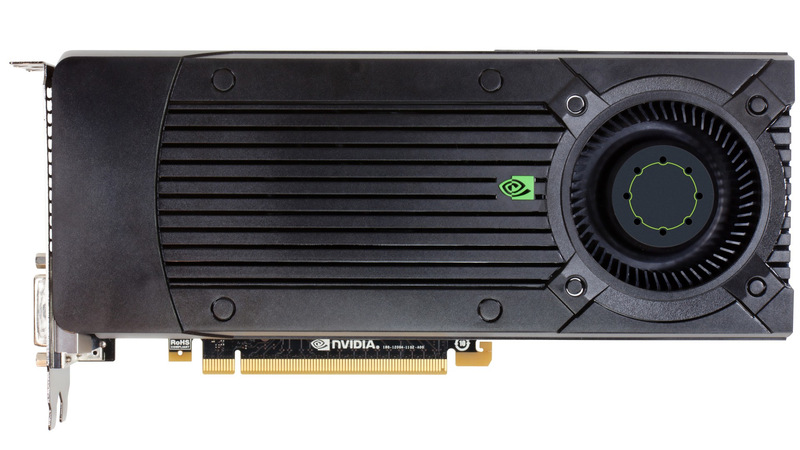 Again if you want a card capable of providing comfortable framerates for stereoscopic 3D gaming at 1080p resolution for a 3D Vision monitor you should start from something like GTX 660 Ti as a minimum. I love that you are showing love to us 720P gamers. People complain 3D is so expensive but a good 720P projector + screen is like $600 bucks. And you only have to have video card good enough for 1080P 2D. It kind of makes me sad how bad FC3 was optimized for PC. Amazing, beautiful, immersive,….. But it will kick the crap out of your pc. I run with 2×680’s at 720P 3D and at 2xSGSSAA I can dip into high 40’s occasionally.